TM Geothermal Operations Private Limited Company (TMGO), specializing in the development of geothermal energy in Ethiopia, will soon start the feasibility study for the Tulu Moye project in the southwest of the country. The first step received $1.1 million in funding from the U.S. Trade and Development Agency (USTDA). The United States Trade and Development Agency (USTDA) has announced that it will fund the feasibility study for the first phase of the Tulu Moye geothermal project in Ethiopia’s Great Rift Valley with a total of $1.1 million. The Tulu Moye geothermal project is coordinated by TM Geothermal Operations Private Limited Company (TMGO). It is based in Ethiopia and has entrusted the study to Delphos International Ltd, an American company based in Washington, D.C. The entire project will require an investment of $2 billion over an eight-year period. It will take place in four phases. The first, for the installation of a 50 MW capacity, will cost $250 million. “We need to complete this funding by the end of next year. The first wells will be drilled, proving the viability and reliability of the resource. Thereafter, the start of Phase 1 delivery for the first 50 MW will follow by the end of 2021,” said Darrell Boyd, TMGO’s Managing Director. In the long term, the Tulu Moye geothermal project will have a capacity of 520 MW. “The feasibility study will also create opportunities for American companies in this growing sector of geoexchange in Ethiopia,” said Thomas R. Hardy, Director of Parliamentary and Public Affairs at the USTDA. The Ethiopian authorities want to give geothermal energy a prominent place in the country’s energy mix. To promote such development, Ethiopian Electric Power, the public company in charge of electricity distribution, signed agreements in 2017 to buy back energy produced from geothermal power plants owned by private companies. The objective is not only to attract private investors, but also to develop the two most important geothermal projects: Corbetti in central Ethiopia and Tulu Moye. The two plants will produce 1000 MW of electricity, for an investment of $4 billion. 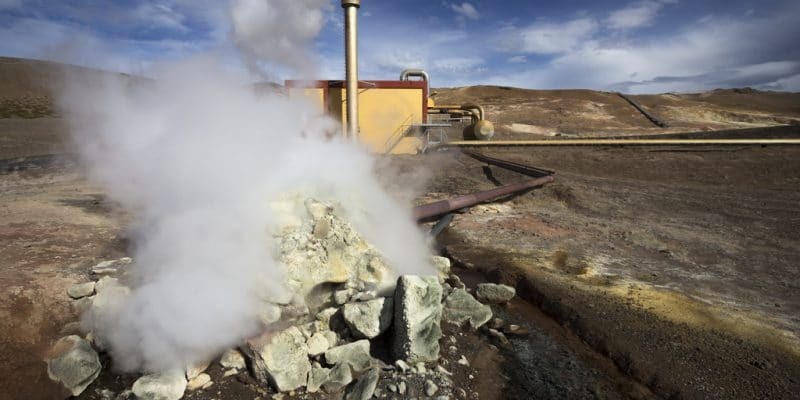 Several companies are already competing for the realisation of the Tulu Moye geothermal project; the French Meridiam and the Icelandic Reykjavik Geothermal (RG). They are among the signatories to the 2017 agreements with Ethiopian Electric Power.